Open your Super Dispatch dashboard and go to QuickBook page. 2. On the QuickBooks Online section go to Manage Integration section. 3. By clicking Manage Integration button, you will be located QuickBooks Desktop Integration page. 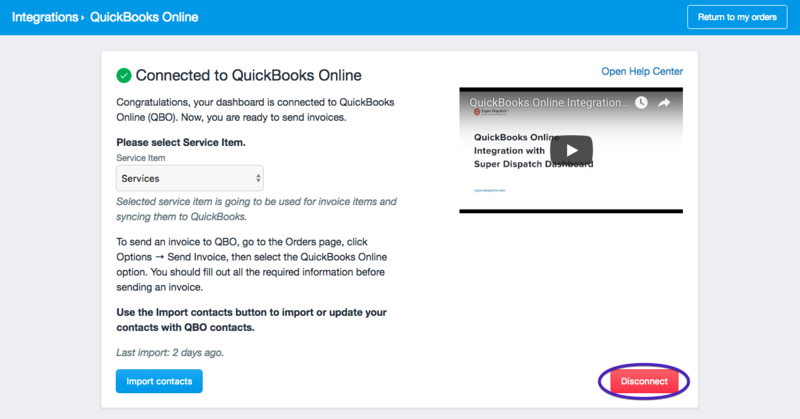 Scroll down on this page, find the Disconnect button and click on it to disable QuickBooks Desktop from Super Dispatch.